There is a new Target Cartwheel offer available to save 30% on the Ninja Coffee Bar Glass Carafe Coffee System (DPCI #072-08-0289) that can be used both in stores & online at Target.com. If you are ordering online, the cartwheel can only be used when you add the offer in the app first, and then choose Drive-up or Free store pickup if available. 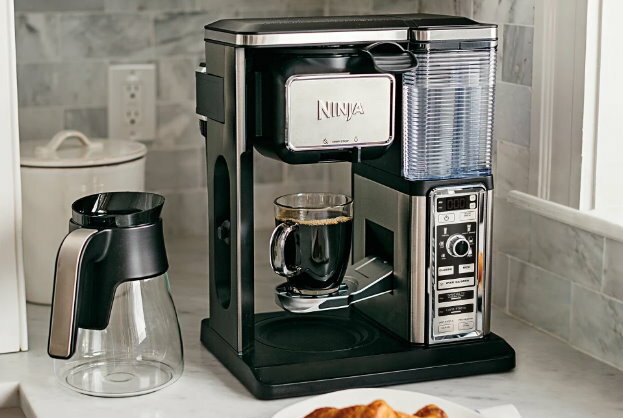 This coffee maker with a built-in frother makes 6 different sizes of coffee and is priced $199.99 in stores. However, it’s priced even lower online to make for a better deal….